Witches and ghouls are scary for the kiddos, but as a homeowner, you know that the real terror of Halloween lies in vandalism, lawsuits, and liability claims. 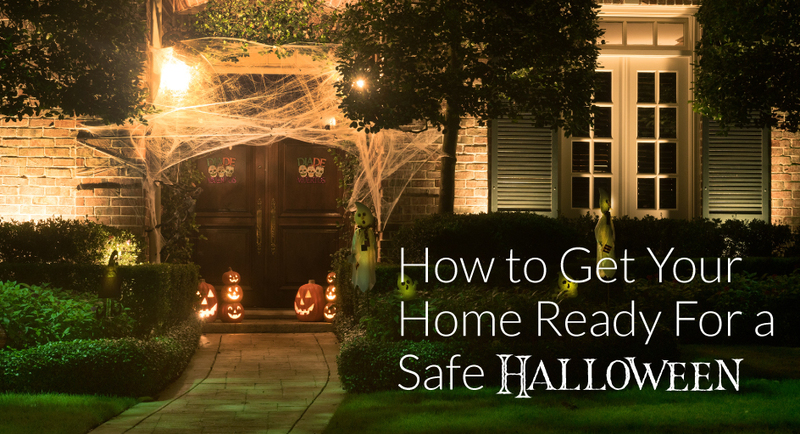 Use these tips to make your home and belongings safe on Halloween night, both for you and your spooky visitors. Trick-or-treaters expect to get candy when they knock on your door, but it is understandable that you may not be in the spirit of the holiday or have the finances to supply candy every year. When it comes to Halloween, it’s in your best interest to stick to your plan. If you give out candy, have your porch light on and be prepared for the foot traffic! If you’re not giving out candy, turn out the main lights and make it appear as if you aren’t home to the best of your ability. Greeting trick-or-treaters with no candy is awkward, and in some cases, it can lead to the worst kind of person being vindictive and coming back later to vandalize your home. It sounds bad, but it happens more than you’d think! Halloween is a notorious night for automobile shenanigans. From toilet paper and water balloons, to eggs, paint, and bologna, vandals can pull “pranks” that wind up doing real damage to your car. If you’re not out and about on Halloween night, keep your car locked in the garage or at least park it behind the house. Our furry friends don’t understand the spirit of Halloween. All they know is that masked figures keep ringing the doorbell to their home, and it is understandable that they get scared and defensive. No matter how sweet your pup usually is, he may still turn into Cujo on Halloween if he’s under enough stress! Don’t put your home insurance policy’s liability limit to the test over a dog bite or other, unintentional injury; keep your dogs safely in the house until the night’s excitement is over. Little trick-or-treaters are so excited to get candy, they tend to run up the driveway to your home. Make sure your porch and walkway are well lit and unobstructed so they don’t stumble on their way to the door. Not only could a fall ruin their fun night, but a real injury could come back to haunt you as a homeowner. Play it safe and keep it bright outside! Those glowing Jack-o-lanterns are super spooky and cool, but costumes, straw, and paper decorations are all very flammable. Use battery operated tea lights instead of real candles so your Jack-o-lantern only looks dangerous. Have any questions about home insurance, property damage, liability, and more? Give the agents at Carnal-Roberts Insurance Agency a call today!